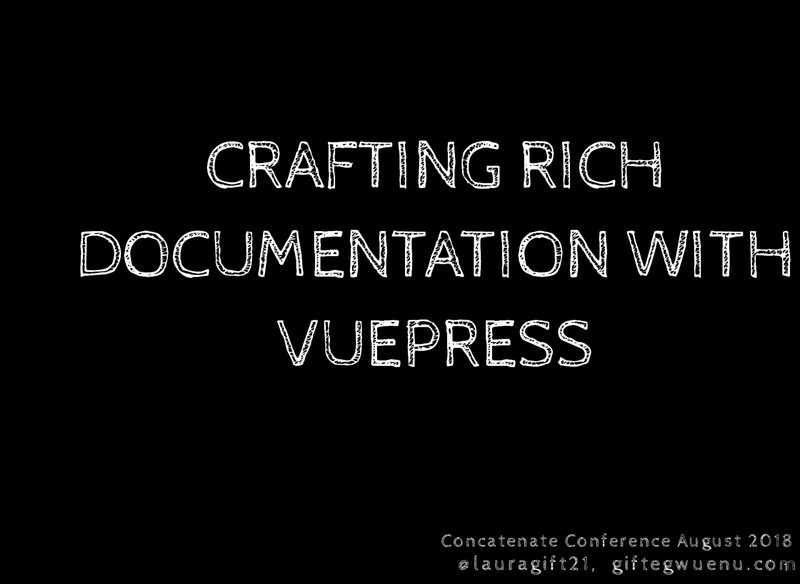 View Crafting Rich Documentation with Vuepress on Notist. This talk will be focused on the problems with documenting software and how you can leverage Vuepress as a solution for writing rich documentation. You'll also learn the features of Vuepress and how it differs from other static site generators. Gift puts presentations on for free. You can too.